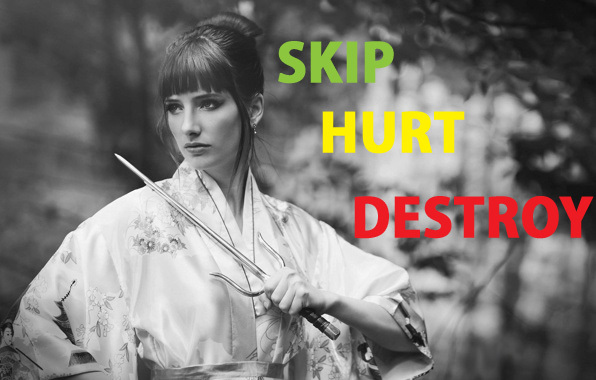 Kuk Sool Won lesson 2 – Skip. Hurt. Destroy. Intent – having your mind and will focused on a particular purpose. 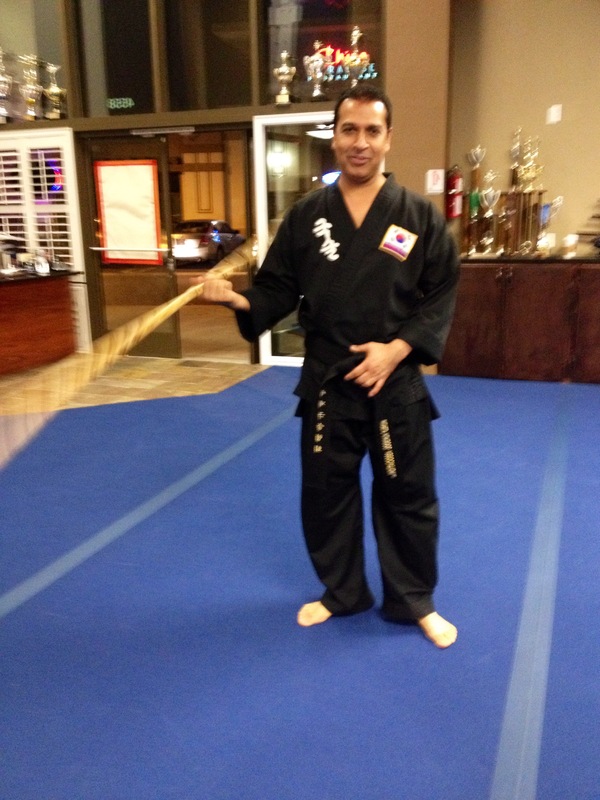 When you move in martial arts you need to know why, you must consider your objective. Each posture in a form serves a purpose as it has a defined application. Similarly the transitions between postures require attention so that balance and focus can be maintained. During training our instructor, Master Saidi demonstrated some self defence techniques on his senior black belt student Rick and another black belt instructor Gyo Sa Nim Sahar to show how the system can be applied in an offensive scenario. While observing these movements I could not help but be astounded by what the human body can achieve with dedicated training and commitment. Master Saidi is one of only nineteen 6th Dahn Kuk Sool Won Head Masters in the world and when you see him in action you can see why. I felt a bit like Po in Kung fu Panda when he first watched the Furious Five in action. The Master immobilised his opponent swiftly, precisely and effortlessly. Pressure point and joint lock techniques are clearly effective. To see them applied first hand was awesome! Just like Po I too wanted a souvenir and given that my other passion is floral photography I instinctively wanted to run and get my camera. “I always say that there are three steps to martial arts. I call them skip, hurt and destroy” said Master Saidi. Step 1 is to skip, to avoid or exit the situation, get out of the fight (at this point I just kept thinking Run Forrest! Run!). If there is no way to avoid the fight then step 2 – hurt follows. The aggressor needs to know in no uncertain terms that there will be a world of pain coming their way if they do not desist. In the event that the aggressor refuses to accept their impending doom you move to step 3- destroy. Most females I know at some point in their lives have found themselves in situations where they felt threatened and vulnerable. The recent twitter trend #YesAllWomen was a sad reminder of this. Much as we would like to, we cannot wish those with hostile intentions away. We can however equip ourselves with the mindset and the techniques to defend ourselves when necessary. In a recent situation where I felt threatened while out at night I noted with interest how empowering it was to know that in the event of an attack, I could do something to defend myself.